Well my life has no meaning anymore *loads gun* Bye everybody! Psst, your forum link goes to the topic I made about the SF-EXE crossover. Anyway, I guess it's a bit harsh, but I don't see this being a big issue. The big-time fans have been importing these games from the US for a while now, anyway. Not like it really matters, since the DS isn't region-specific or anything. Is this even a surprise? Mega Man Star Force 2 didn't even come out in Europe. Why does Europe usually get left out when it comes to games? Always the late releases and less content. And they're usually hard to get a hold of. I barely found MMSF2 EU so I could rip the elemental plus cards in different languages. @Hypercoyote - No, it doesn't. I never even saw it in stores. Guess I'd have to get it from Germany or something. To you saying lucky Europe, you have no idea what the hell you're talking about. When it comes to Capcom, and especially Megaman games, we've been getting screwed over for years. Megaman 1-3, way slower gameplay and music due to the game being edited for 50Hz TVs. Megaman 6, never got released here. Megaman 9 press kit, couldn't be ordered from outside the US. Starforce 1 and 2 did come out here but you'll have to look on webshops to find them. Don't get me started on merchandise, while Japan and the US get figurines, keychains, plushies, special GBA addons, etc, we get nothing of all that. The latest Megaman game that I recall seeing in most game stores was Command Mission. Have you ever been the website of Capcom Europe and looked at a MM game description? They can barely spell the word Megaman. Trust me, when it comes to Megaman, Europe is a bad place to live. I said 'lucky Europe' because I feel the SSR games are cheap and flimsy with very little effort put into subsequent re-iterations. European consumers won't be conned into buying it just because it has the 'Megaman' name on the package. Yes because on Europe people are forced to buy things. There are europeans that WANT to buy this, so stop being picky because YOU don't like the game. Barister, while I agree with you that the SSR games feel cheap and are even more rehashes of the previous game that the Exe games were, that doesn't mean an entire continent + Australia shouldn't get the game. We're smart enough to buy the games we like, we don't need to be protected from bad or mediocre games. I see plenty of Barbie, My Little Pony and Lego games in the shops but I've never bought any of those, even though it has the Lego name and I like Lego. Besides, it's not really this non-release that upsets me but Capcom Europe's habit of screwing us over. I even forgot one in my previous post. The US got Megaman ZX little over 2 months after it's Japanese release. We had to wait an entire year. I got my import copy of ZX Advent a week after the PAL release of the original ZX. Also, the ZX games had all their voice acting removed here. @Snap: You're absolutely right. It's just unfair. I'm guessing you live around the same part as I do, I mean, all I see when walking around a random store is see Barbie/Bratz(hoewever that's spelled)/Pokémon-spam(not THAT of a big deal) Also, I don't know about where you live, but usually the prices here are just the dollar prices, with a € instead of $, or just too expensive. I'm not paying €30 for wii speak. Sure, I'd like to buy it, but it's just too expensive in my opinion. 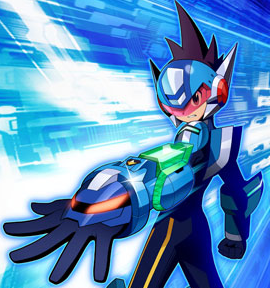 The MegaMan Zero (etc.) point you made isn't overexaggerated either, I can't even find it on second-hand shops nowadays.